There was no mention of the potential implementation of a point of consumption tax on corporate bookmakers in Victoria in the Australian state’s 2018-19 budget, which was introduced on Tuesday, May 1. Victorian lawmakers indicated in last year’s budget that they could implement the tax after several other states said that they wanted to receive a portion of the revenue remote gambling operators generated on their territories. Online sports betting operators servicing Australian bettors are mostly licensed in the Northern Territory where they are paying lower taxes than they would pay, if they were licensed in other states. To change this, several state governments have taken steps toward the introduction of a tax that would require from corporate bookmakers to share a portion of their revenues based on the location of their customers. 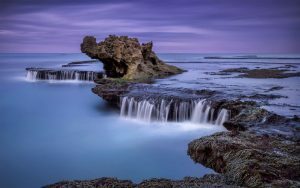 South Australia has already implemented a 15% point of consumption tax and the exact same tax regime is set to come into effect in Western Australia in 2019. The government of Queensland has promised to introduce a similar measure, while New South Wales has released a discussion paper on the topic. As mentioned above, the point of consumption tax was referenced in Victoria’s 2017-18 budget, and it was expected that this year’s budget would include more details about the government’s plans for taxing bookmakers. Unlike South Australia and Western Australia, where gambling companies are to be taxed at 15% on their revenues from local bettors, Victoria was expected to introduce an 8% tax. While there was no information about the potential new taxation regime in the government’s Tuesday budget announcement, State Treasurer Tim Pallas said that they were still working on the point of consumption tax and that more information on the matter would be released in the coming months. According to preliminary estimates, the state could reap around A$150 million annually in tax revenue from online gambling operations. The lack of detail about the point of consumption tax in next fiscal year’s budget, among other things, resulted in a new wave of fears that bookmakers could become more aggressive in their advertising campaigns, thus deluging Victorians with more betting ads. 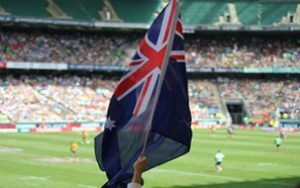 Australia’s federal government introduced certain limitations in the way gambling products are advertised on television earlier this year. These included a ban on gambling ads during live sports events broadcast between 5 am and 8:30 pm. The new restrictions aimed at preventing children and other vulnerable people from being overexposed to gambling. However, as Victoria currently does not have a point of consumption tax regime in place, unlike other Australian states, it is expected to become a particularly attractive jurisdiction for offshore betting operators. Australia’s betting market has grown significantly over the past several years. Growing competition in the field and regulatory pressure at both state and federal level have triggered a major change in the gambling landscape Down Under. That change included the creation of the country’s largest listed gambling company – Tabcorp, through a merger between Tabcorp and Tatts, and the sale of William Hill Australia to CrownBet, a majority stake in which was shortly after acquired by Canada’s The Stars Group.